Fringe debut from the award-winning Of Mice. After a stupid medieval dad makes a bargain with the devil, his descendants must pay a terrible price. 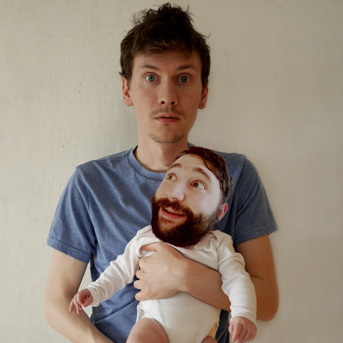 Things go from dad to worse for writer/performers – and new fathers – Matt and Ollie in this kaleidoscopic gallop through the history of one awful family. 'A sublime comedy duo' ****½ (TheReviewsHub.com). 'Performed with panache and irresistible warmth' **** (FringeGuru.com). 'I was in stitches – Matt and Ollie are a delight' (English Waves Radio). 'Utterly absurd and completely hilarious' (TheOpenDoorSite.wordpress.com). Presented by Of Mice Theatre.